Since writing about the crisis of morals I had after seeing Rogue One for the first time, I’ve discussed the topics of Star Wars and engineering ethics with many colleagues and friends. 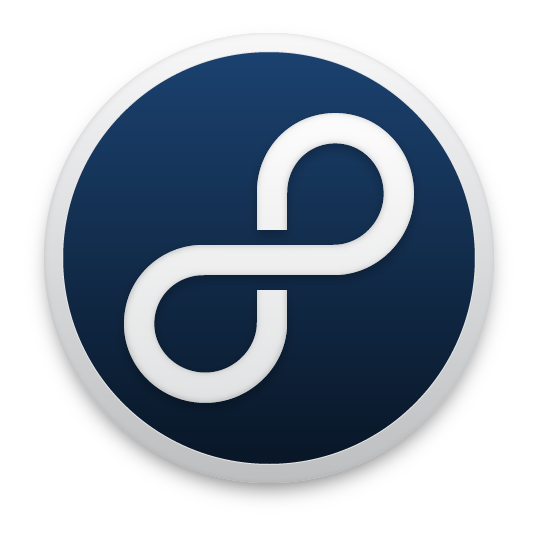 The more I’ve talked about it, the more clearly a question has materialized – okay, we know that developers being asked to work on immoral projects is a problem, but what can we actually do about it? I’ve found myself musing more and more on the issues of leadership in the tech industry. When we’re writing code for others, it’s essential to know where those directives are coming from. You have to know who the general is. The realization that perhaps your own boss is one of these people we’ve been talking about who lacks a moral code can be a scary realization. Again, I turned to Star Wars for answers. There’s no more morally corrupt employer to work for than the Empire – and with their strong leadership and dominion over the status quo, they employed millions of people. Let’s talk about two specific characters in Star Wars who made this realization that they were working for the bad guy, how they became aware of it and what they did about it. In my last article, I talked pretty extensively about Rogue One’s Galen Erso and the long process by which he was eventually manipulated into becoming the lead engineer on the Death Star project. Basically, Project Celestial Power was tailored specifically to attract Erso, whose passion was to bring renewable energy to outer rim planets – but that energy research was actually used to design and build the famous superweapon instead. 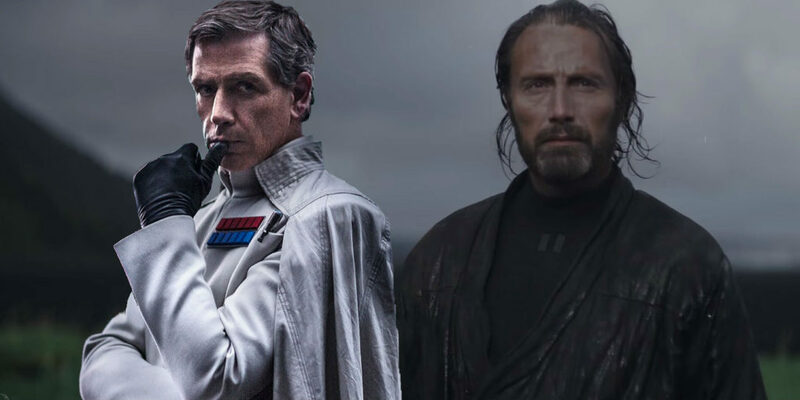 Erso always had an inkling that his boss, Director Orson Krennic, was the bad guy, but he wanted so badly to believe that Project Celestial Power was a real opportunity that he ignored his gut and worked on the project anyway. However, he became increasingly suspicious as time passed and the Empire wouldn’t let him see the applications of his work. Once he saw evidence of weapons testing and realized what was really going on, he quit! Refusing to do work he didn’t agree with was a pretty simple form of protest – and in his case, it was also a pretty effective form of rebellion. The Empire was relying on his knowledge specifically, so leaving did put a kink in their plans. Of course, it didn’t just end there. A few years later, the engineering team was struggling without Erso’s expertise and the Empire had become stronger and more emboldened in its fascism. So, Krennic found Erso and forced him to come back and work on the project again, unapologetically having his wife killed in the process. (Sound familiar? You may remember this as the opening scene of Rogue One.) Obviously at this point, it had become completely unambiguous who the bad guy was. So what did Erso do about it? Sabotage. This may be a familiar story; Erso deliberately built a flaw in the mechanics of the Death Star and fed information about it to the rebels so that they would be able to destroy it. Rebellion from the inside carries more personal risk, but in some cases it can be an immensely powerful tool. The Empire treated him as irreplaceable, but he knew that nobody is truly irreplaceable. Their plans may have been slowed down without his help, but somebody else would eventually step up and be able to build for them what he had refused to build. He also realized he was in a unique position to damage the stability of the Empire’s plans by secretly undermining their weapon. Rebellion from the inside carries more personal risk, but in some cases it can be an immensely powerful tool. For Erso, it was a sacrifice because he lived a pretty lonely and horrible life while he was in the service of the Empire, but he knew his life had meaning because his sabotage would mean something to the rebellion. Agent Kallus, one of the main antagonists from Star Wars Rebels, had a very different narrative. Whereas Erso was a special snowflake that had to be specifically recruited to the cause, Kallus was just one cog in the Imperial machine. At the beginning of the series, Kallus had presumably been loyal to the Empire for a while and risen up through the ranks to become a fairly high ranking special agent. He was kind of an Imperial poster boy, in a way; the kind of person who would use the phrase “I was just following orders” unironically. 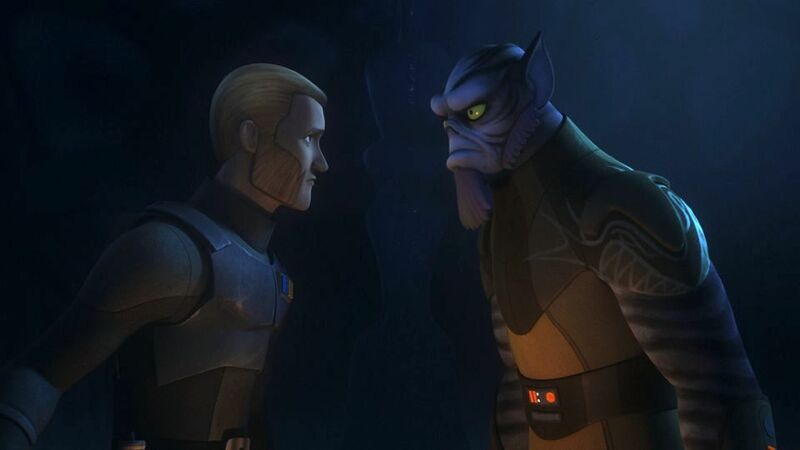 The Kallus “redemption arc” started out halfway through season two, with an episode called “The Honorable Ones,” where he found himself stranded on an ice moon with Zeb Orrelios, one of the rebels he had been tracking. The two of them had a particularly strained history due to Kallus’ involvement in the near-eradication of Zeb’s people, the Lasat, by the Empire at the end of the Clone Wars. Though unlikely allies, they needed to work together to survive and in doing so, they began to find a newfound understanding and respect for one another. You may think this narrative sounds really nice, but it was definitely a red flag for me. As a minority, I’m uncomfortable with the emphasis that is often put on marginalized people finding common ground with our oppressors. 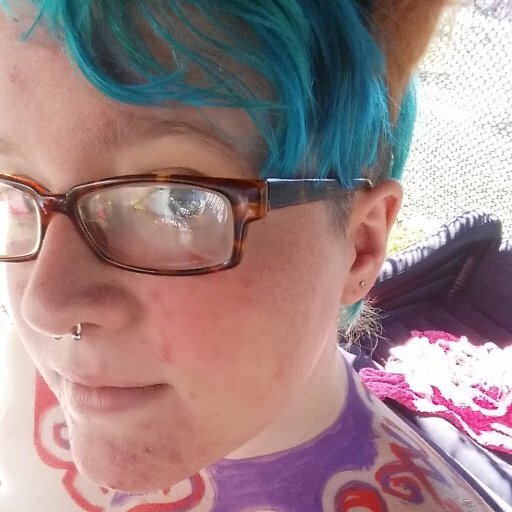 I don’t like being criticized for not being nice enough to people who don’t respect my personhood and I don’t like the implication that I have an obligation to educate those people. This Rebels episode was starting to venture into that territory of uneasiness for me. It also touched on a false equivalency that I’m very uncomfortable with – the difference between accepting people for who they are versus accepting all the choices they make. When Zeb tried to express to Kallus that you can’t judge all Lasat based on the actions of a few, Kallus went full #NotAllImperials on him and countered that he shouldn’t judge people just because they’re loyal to the Empire either. That’s the point where I’d start screaming about how being a member of a marginalized race isn’t the same as choosing to join a fascist government, but Zeb didn’t lose his cool like that. Here’s the key, though – it wasn’t out of a sense of obligation to be civil or to educate him. He just didn’t feel the need to waste his energy on someone who he didn’t perceive as worth it. He made a few comments, about how all the Imperials he’s ever met have been like that and how he suspected Kallus didn’t want to ask questions of the Empire because he was afraid of the answers he might hear, but otherwise he didn’t take the bait and focused on himself. Zeb actually is a great example of how to communicate with people you don’t agree with. He had the confidence not to get in a screaming match, but he did it for his own sense of peace, not because Kallus deserved concessions from him. 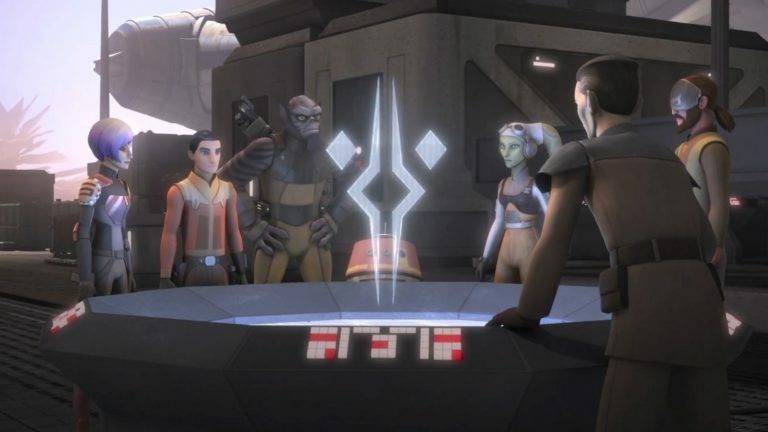 The episode ended with a powerful scene where Zeb was tearfully reunited with his rebel friends, while Kallus continued to wait for his Imperial colleagues to rescue him. Not only did they not come to save him, but when he managed to hitch a ride home on a trading ship, none of the other Imperial officers seemed to notice that he was even gone and he was left to mull over his experiences in his barren military bedroom, alone. As I like to say, an unethical organization only cares about you as long as you’re useful to it. Although Zeb wasn’t purposefully trying to convert Kallus to the rebel cause, the combination of his own isolation contrasted with Zeb’s confidence and companionship with his friends obviously got through to Kallus, who stewed over his words later. He ultimately decided to defect from the Empire and became a Fulcrum agent – an informant to the rebels, feeding them insider Imperial secrets. Similar to Galen Erso, Kallus felt that he was in a unique position to hurt the Imperial cause from the inside. Besides getting the rebels access to valuable information, he was also able to help them evade capture several times, as well as subtly lead the Empire away from their true positions. All of this is done right under the nose of the daunting Grand Admiral Thrawn and at great personal risk to himself, as Kallus knew he would be executed for treason if he were found out. When the rebels were worried about his safety and showed up to extract him, he even elected to stay at his post, claiming he could do more good by continuing his work as an informant and spy. Kallus is a great example of the fact that people can change – but only if they want to. What can we learn from this? Kallus is a great example of the fact that people can change – but only if they want to. I believe that Kallus already possessed the capacity to change, to have empathy and to see the difference between right and wrong the whole time, he just had to make the decision to tap into it. He had already seen firsthand how horrible the Empire could be. While Zeb’s influence may have helped, he ultimately had to come to that conclusion himself, on his own terms and in his own time. That’s also the reason Zeb’s communication style was so commendable – because he focused on communicating in a way that was healthy for himself. We shouldn’t feel like we have to compromise our own sanity and emotional health for the chance that we might be able to change someone else. Some people, like Kallus, will decide to change and others won’t, but we can’t hold ourselves responsible for other people’s decisions. It takes a certain kind of person to go from this, to this, to this – but it can happen! In the real world, “sabotage” doesn’t always mean literal, mechanical sabotage like Galen Erso did to the Death Star. It can mean blowing the whistle on unethical practices that you can’t stand idly by and watch. It can even just mean staying in a position that you have qualms with in order to try to positively effect change from the inside. (Disrupting the status quo doesn’t always have to be as violent as it is in Star Wars!) Sometimes quitting a bad job is the right answer, but other times there can be legitimate reasons to stay. Examining our morals is a good first step but examining the morals of our superiors is important too – and if we don’t like what we find out, examining all our options is the key to deciding for ourselves what’s the best and most ethical way to proceed.